This is perhaps the most successful of the Rittenhouse Beverly models. 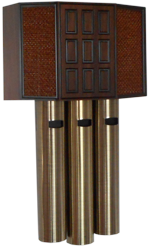 The chime shares a cover with the 1972 Fairfax The cover shows distinct Mediterranean Revival style, and in fact was available as the “Mediterranean Beverly” Model C8535 with the addition of plastic grilles. 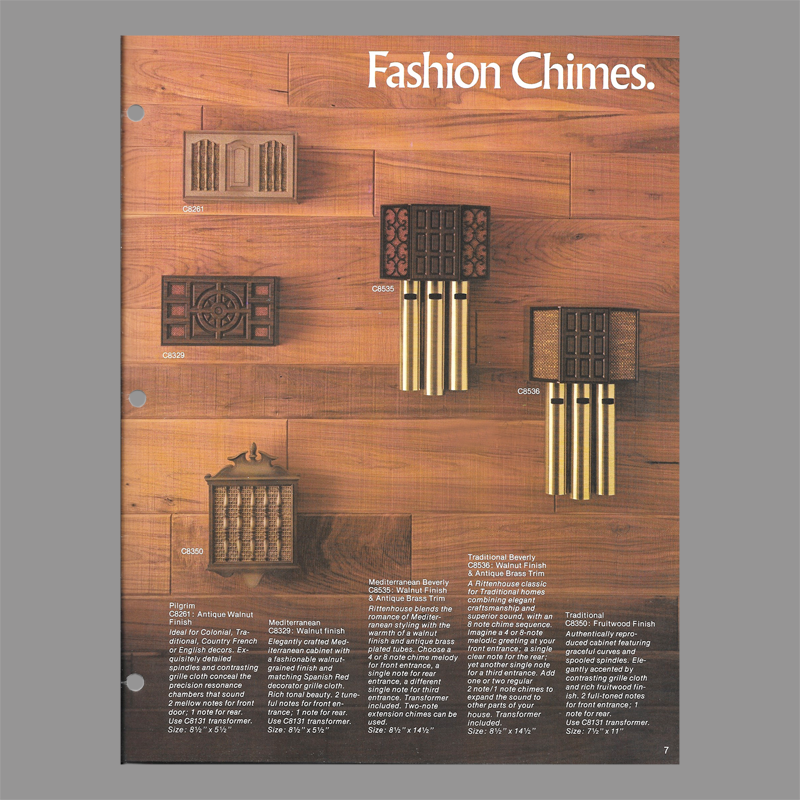 The success of this chime is likely due to wider distribution as Emerson-Rittenhouse leveraged for market share as evidenced by this chime’s inclusion in the Sears Catalog in the early 1970s. This chime was sold until the mid 1980s. This chime used a motorized mechanism instead of the Rhythm Master sequence or earlier Beverly models. Traditional Beverly C8536 Walnut Finish and Antique Brass Trim. A Rittenhouse classic for traditional homes combining elegant craftsmanship and superior sound., with an 8 note sequence. Imagine a 4 or 8-note melodic greeting at your front entrance; a single clear note for the rear; yet another single note for a third entrance. Mediterranean Beverly C8536 Rittenhouse blends the romance of Mediterranean styling with the warmth of a walnut finish and antique brass plated tubes. 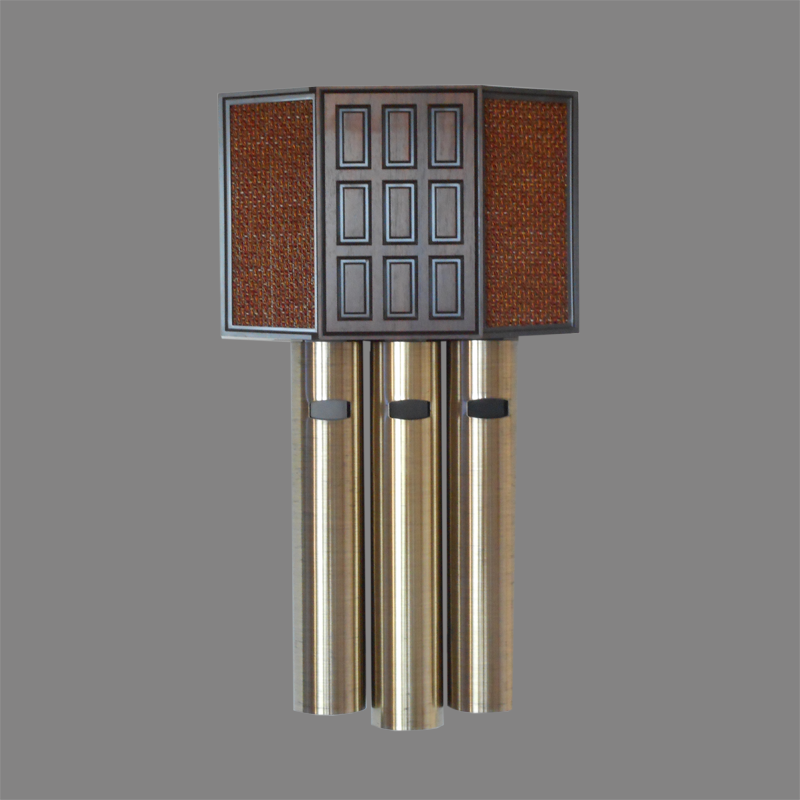 Choose a 4 or 8 note chime melody for front entrance, a single note for rear entrance, a different single note for third entrance. 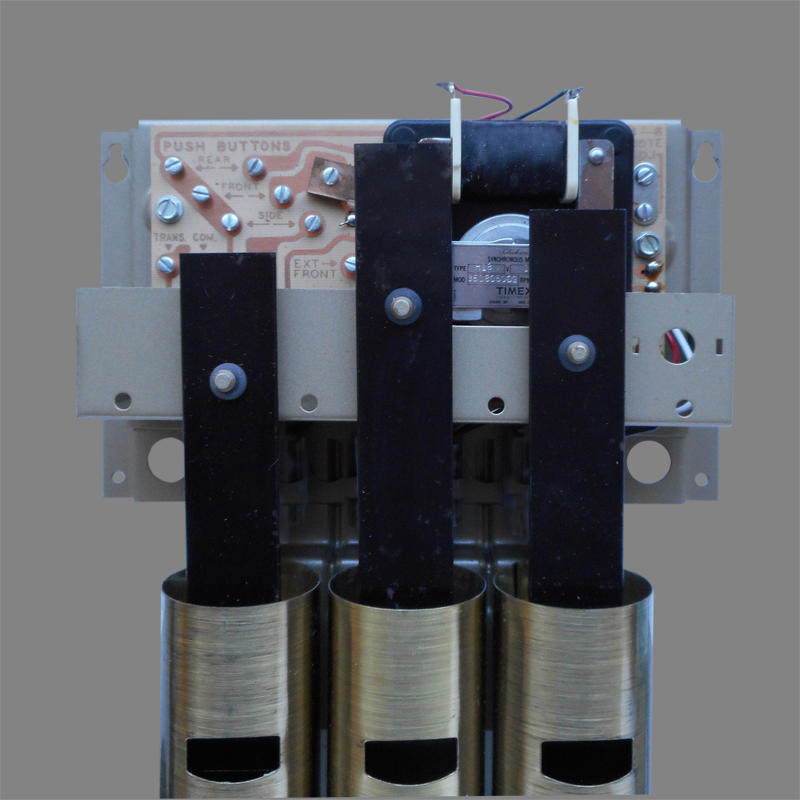 Manufacturer Rittenhouse Division, Artolier Lighting and Sound, Emerson Electric Co.